How can a bike change THAT much from year to year? Can large advancements even be made anymore? Technology is so good these days that its hard to imagine bikes getting much better than they are in large leaps and bounds. The masses might expect incremental changes, but nothing revolutionary. The second half of last year, I rode a 2013 Specialized S-Works Epic. It is a phenomenal bike and I couldn’t imagine a faster one. Then, Specialized released their 2014 Epic with World Cup tuning. I simply couldn’t believe it could be faster. Thankfully, my curiosity was satiated and I was able to grab one and try it out for the 2014 season. The main highlighted differences came with a revised geometry, lighter weight and different suspension tuning/linkage, all intended to make the bike faster and snappier on the trails. I ended up picking up their Epic Expert World Cup, and was shocked. The hype was true. It was noticeably faster, comfortable, and confidence building. I’ve now put hundreds of miles on the bike in training and racing. I’ve done short XC races, mid distance endurance races and a 100 miler on the WC. The bike is simply excellent everywhere. I’ve never noticed a difference in the different suspension setup negatively, but do feel like I get more of a fully open feel when going over even small bumps. The newest Brain tuning is fantastic and better than the ’13 and ’11 I’ve ridden before. The stiffness of the suspension locked out is better than ever, making it a rocket on the smoother terrain. The geometry is a bit more aggressive, and I love it. I feel like I’m on a road bike because of how nimble and maneuverable the bike has become. You wouldn’t think such small changes in the wheel base would be noticeable, but it’s a fantastic improvement. Cornering feels like you are on a smaller bike. More stability, control and speed. It is a truly thrilling ride. Specialized advertises the bike as an XC bike because of its aggressive and stiff characteristics. Even though I primarily race longer races I wanted to give it a try, and I am so glad I did. Even with the Brains set to fully firm both front and rear I was perfectly comfortable over the 100 mile race I did on it. X01 has the perfect range and keeps the bike light. With a few changes to the bars, saddle, stem, grips and crank, it sits with bottle cages and XTR pedals at 23 lbs. 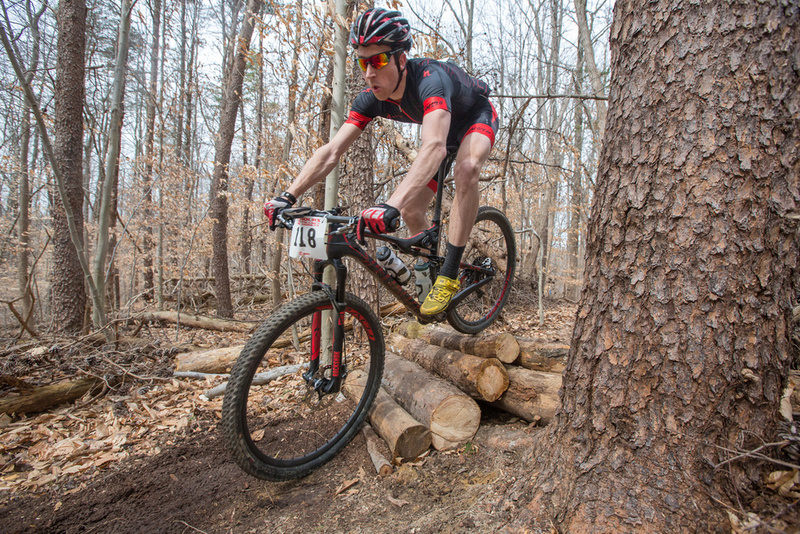 Not bad for a race ready full suspension bike! For short course or all day endurance, it is the perfect bike. UPDATE 7/29/14 -------- With close to a thousand miles on it, the Epic WC continues to impress. The entire build is solid. SRAM X01 is just as good as XX1, there is literally no difference. I’ve put over a thousand miles on each group, and I can tell no discernable feel between the two. And the weight difference is ridiculously small. Great offering from SRAM! Roval wheels are the future. The Expert comes equipped with the $1,200 version (the non-SL version) and again, I can’t see why you would need anything different. Forget expensive offerings from other companies, these wheels are stiff, light and have tank level durability. I clipped a spoke on a rock a few weeks ago while racing, and bent it badly. I continued to race for hours after that; rocks, steep climbs, log hops, and even jumps. A few days after the race I noticed the bent spoke and took it to my shop Twenty20 to get it fixed. The wheel wasn’t even out of true. Incredible. In my opinion, the wheelbase and suspension is the biggest reason this bike is such an improvement over previous Epics. The bike is just snappy. Powering up a hill, dive through tight turns and berms, hopping logs, sprinting for the line; this bike feels like the perfect bike in every situation. Two days ago I was ripping a smooth downhill. I was pushing the limits a bit, but was extremely confident in the bike and knew the trail well. I was leaning through a turn when my front wheel hit a root and caught a bit of air. When it regained contact with the ground about 6 inches further outside of the line I was on, I stayed upright. The Brain technology is perfect for smooth tracks. It locks your front and rear and lets you fly! But if I had been on a traditional fork with manual lockout, I would have crashed. If my fork hadn’t gone soft when regaining traction, the front tire would have washed out. But it didn’t because the Brain opened the fork and I rode away unscathed, smiling bigger than ever. The suspension tuning is all you could ever want. I run the front and rear fully firm regardless of the terrain and find it to be amazingly comfortable over any distance. From crawling through rock gardens, to buffed out track, I find the fully firm tuning gets me through it all FAST. And lastly, I love that Specialized went to a 27.2mm post. It flexes much more and softens the ride even further. That was a great move on their part. It’s time for an update. Last year I rode the Specialized Expert Epic World Cup all over the place. Racing and winning some, training and on some adventures. 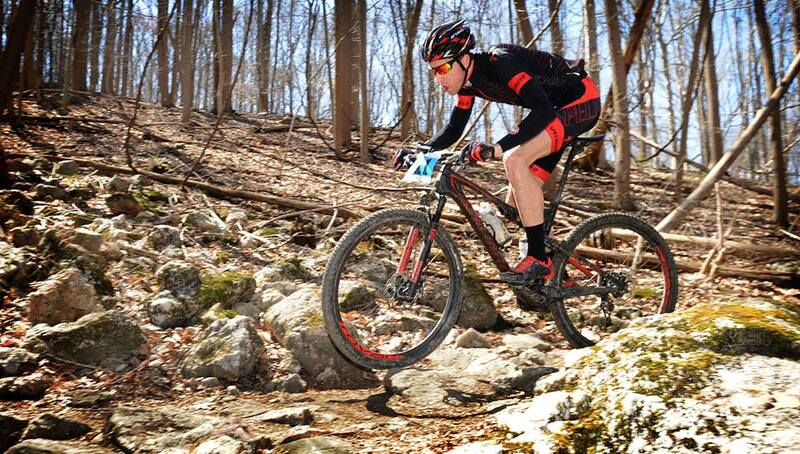 Then I switched teams (to a non-specialized team) and started riding a Trek Superfly FS. Now, that’s a great bike, and I did well on that bike. But, after over 1k miles on it, I just wasn’t quite satisfied. The Trek feels like a trail bike. With the CTD technology, you have a LOT of control over your suspension. When you put it into Descend mode, you are going to get a very plush, full travel experience. On super technical descents, that is an absolute blast! And even the ability to lock it out, and I mean FULLY rigid, is awesome when you’re on the road, or gravel or super smooth dirt. So those suspension abilities are truly great. What I can’t get behind (and where I think the Epic shines) is the geometry. The World Cup is designed to be highly aggressive. I think Specialized scared people with that name, making people think it wouldn’t be a good endurance bike actually (I only do endurance races). But the truth is, the geometry enables a handling unlike other bikes. It is tight, whippy and can be thrown around like a hardtail, and take turns just as well. Pair a tight geometry with a very firm platform in its suspension, and you have a very snappy bike that feels planted and very in control on every trail. Some people love the control of switches and lock out. I do not. I like simplicity, which is one reason I ride XX1. I don’t like second guessing my suspension choice. I don’t like the idea of standing up into a massive bob of suspension because I hit a tiny roller on a descent. The brains of the Epic keep you 100% ready for any obstacle or smooth trail. Locking and unlocking moment by moment is their specialty and what makes them so great. I am in and out of the saddle constantly, so not having one extra step involved in that makes me one happy camper. S-Works or Expert? Now that I have owned both WC versions, I’d have to say the Expert is the better value. You get 96% of the S-Works function, at about 65% of the cost. Having said that, the S-Works bike is insanely light and carries the absolute top of the line products from Specialized, SRAM and Magura. So you do get something else aside from weight savings. But keep your bike in good working order, leave the camelbak at home over just bottles, and you’ve got basically the same ride.